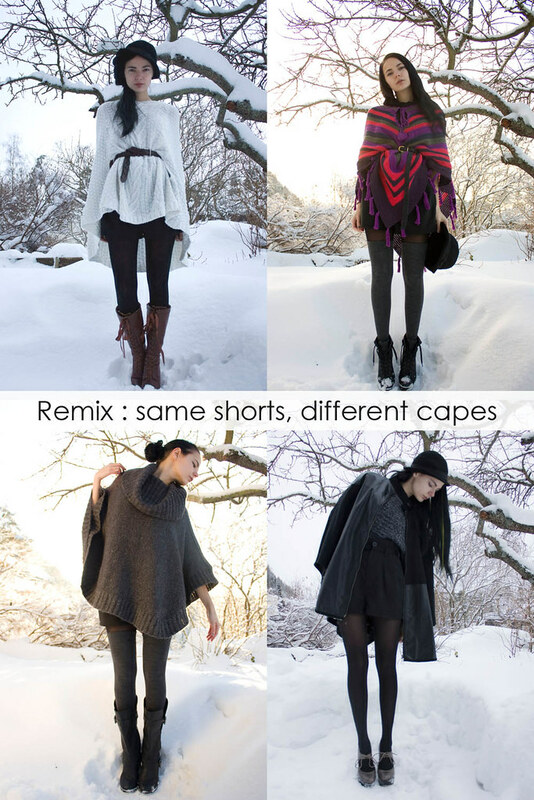 Barbro Andersen: Remix : "same shorts, different capes"
Remix : "same shorts, different capes"
Summing my whole remix-challenge up in one post seems like a good idea. Last week’s remix was kind of a double-remix, or perhaps even double-trouble, as I decided to use the same shorts with different capes. The shorts, which are from Gina Tricot, are probably the item I've featured most often on my blog, as I just think they go with everything. That's also the main reason why I wanted to use them in this remix! Each of the looks are quite unique: from the classic white to a whimsical one in colors; comfortable in over-sized knits to a kind of new-age chic in black. It was a challenge, indeed; but I think these kind of challenges are important to keep me creative. This first one is kind of the "pretty one", if I can say that. It’s simple and classic, with a little bit of an edge to it. I belted it to make it more interesting, and give it a little extra umpf. Because it’s white, I think it’s easy to push over the edge to "super-romantic" – and I didn’t want to do that: so I kept it classic with the combination of black, white and brown. My second version was the complete opposite from the first one. It’s a very whimsical look, I think; and though I'm not the most colorful person out there in general - I'm always up for a challenge when it comes to clothes! I do love experimenting, and this cape is perfect for that! It's a very unique and strong piece which just fits perfectly over my shoulders. I think it deserves all the attention it can get, so I combined it with black and gray. I chose to add a belt to this one as well, mostly because I’m a fan of chunky clothing. My third version of the "same shorts, different cape"-remix is more my color-palette, or what I believe is my color-palette. I can't seem to figure that thing out. I've always loved wearing black and grays, and though many people feel uncreative wearing a monotone palette like this, I find it very inspiring! I love knits as well; so it's perfect for me. It’s is a comfortable and "safe" look, with thigh-high stockings and a cozy sweater underneath. The fourth and final outfit is kind of “super-chic”, if you know what I mean - without sounding too arrogant: and I entitled it “I’m batman” for the obvious reasons. I absolutely adore this faux-leather-patched cape from Monki, especially since it was a gift from my mother. I kept the whole look quite monotone; well, except from the evident hair - which was very temporary by the way. I went for sky-high platforms because they are my favorite shoes at the moment and knits because it’s cold outside. I really like how different they turned out! Which did you like the most? I'm really curious. I can't choose! I'm such a moody blogger, but I guess that's a good thing. I like the diversity. 1. I'm wearing a gifted poncho from Lindex, Gina Tricot shorts, Forever21 top, Lindex tights, vintage belt, H&M hat and Benelli boots. 2. I'm wearing a gifted cape from Vila, Gina Tricot shorts, Cubus stockings and belt, H&M hat, B.young sweater and wedges via Nelly.com. 3. I'm wearing Cubus cape, Gina Tricot shorts, Cubus stockings, random sweater and boots via Nelly.com. 4. I'm wearing Monki cape, Gina Tricot shorts, JSFN knits, H&M hat, random tights and Asos shoes. I love the third version the best :] I'm a huge supporter of oversized tops, especially chunky, knit sweaters. I really love that mutli-colored cape! So beautiful and interesting! alle antrekkene var fine, men jeg elsket det siste! kjempefint! You can't have too many capes. You've just proved that point. They're all so pretty! I think the third is my favorite mostly because that tends to be my color palette too. And I love the cowl neck on the sweater. The second is fun too, with the pops of color. I love how you accessorize - you really make each look so unique, it's hard to pick a favorite! For me i just prefer the last picture. "I'm Batman". I think that is more classy barbro. BUT the all outfits just amazing!!. You got a style!! I think posts like this show exactly why we should remix our clothes. You may have been doing shorts with tights, and a cape but it looked different every time. supert innlegg. digger den hvite capen mest. så fin. So pretty! I found you through our Facebook "loveliest blogger group" and love your style! I added you to my blogroll! Hi! I know you from chictopia.com, you're one of my favorites there. 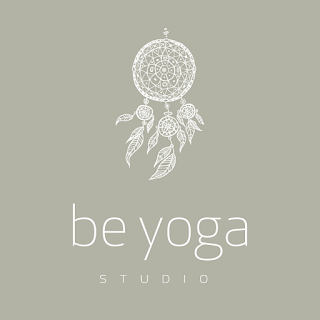 And as I'v started a blog myself now I definitely had to add you here as well. You so stunnigly beautiful and inspiring! Love. I love love love all these looks, especially how you draped that very colorful scarf. Very clever :). Love idea to have many outfit with one short!!! Flott innlegg! Du er nå på fremsiden av Bloggermagasinet.com!